‘Toboggan’ Run Down The Swiss Alps On A Roller Coaster! 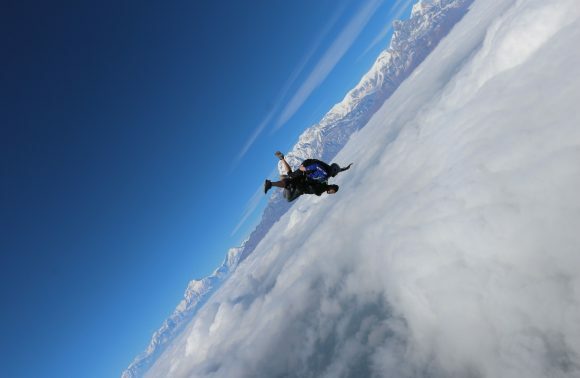 You might have hiked or driven down a mountain before, but ever thought of sliding down one? Well, think no more! 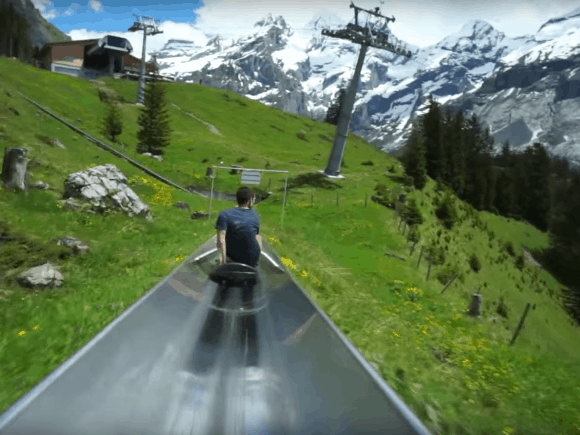 You can now slide down the Swiss Alps on a roller coaster. 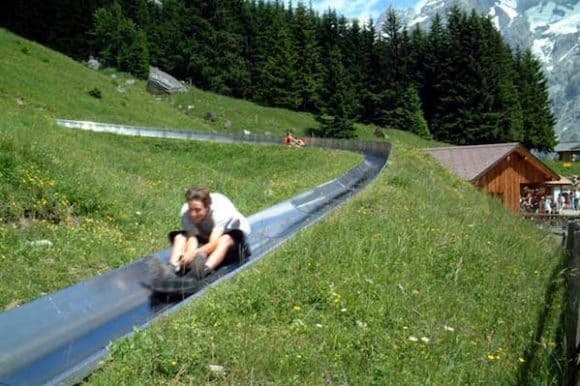 The Oeschinensee toboggan run gained popularity after YouTuber Brice Milleson’s video of sliding down the Swiss Alps went viral. A toboggan is a form of the sledge that’s now being used in snow sports. The roller coaster, locally known as the Rodelbahn coaster, combines a toboggan with a metal slide that runs right down the Swiss Alps. Call it a hybrid coaster, a tobo-slide, if you will. A part of the rustic Oeschinensee ski resort, this mountain coaster is located at the top station of Oeschinensee near Kandersteg. 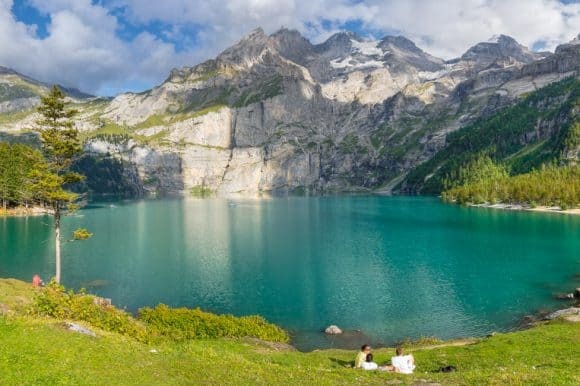 It is accessible by a cable car from Kandersteg to Oeschinen and takes roughly eight minutes. Another way to reach the destination is a 1.5-hour hike. 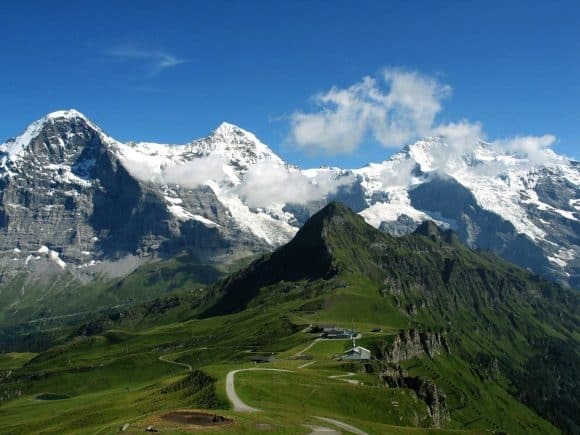 The cabin is located amid the beautiful Alps, in the heart of the UNESCO world heritage site Jungfrau-Aletsch. 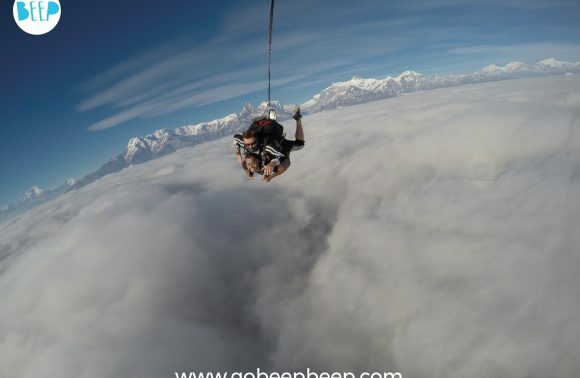 It is preferable to hike to the toboggan run destination so as to enjoy the beautiful view along the way. The hike up to the mountain includes a magnificent view of the Swiss Alps along with a peek at the beautiful Oeschinensee Lake. The destination attracts a lot of mountaineers and mountain bikers every year. The 750 meters long toboggan run is open for children as young as three years old (Wow! ), with adult supervision of course. Children and adults with a sense of adventure and a need for some adrenaline rush can opt for this ride with a mega pass. This ride is open only when the road is dry, for safety purposes. Officially, one can take the toboggan for a ride from the month of November through May. The ride opens up at around 9:30 a.m. and is open till around 5 p.m.
Not meant for the faint hearted, one can ride the coaster at their own risk. If you think you have it in you to take up to 10 trips at a time, you can do so at the cost of CHF 30. Children up to 15 years of age can take the ride for CHF 22. The cost of a single trip, however, is CHF 5 for adults and CHF 4 for children. An adrenaline rush with a beautiful view of the lush green Alps on a sunny day is what the coaster offers. 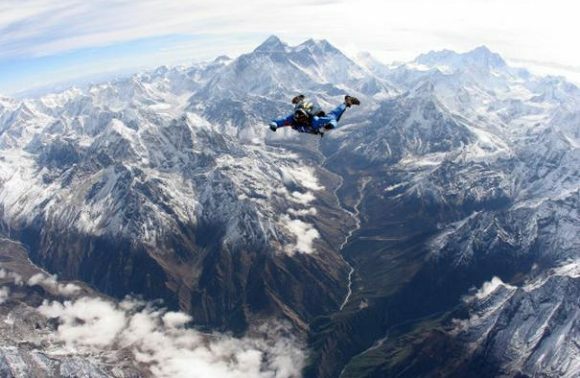 You may want to bring out your adventurous spirit and slide right into it the next time you fancy a hike in the Swiss Alps! Think you’re ready to fly?